Clive dropped in on the Blackheath Wanderers Sport’s Club last Thursday to see for himself the voluntary work being carried out by volunteers from Barclay’s bank. 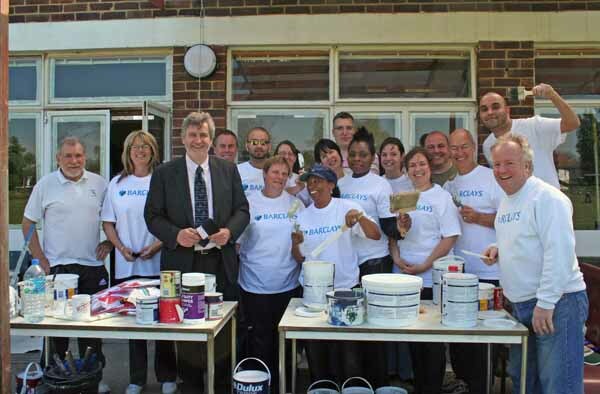 Clive offered his thanks to the dozens of Barclays employees who had given up their time to come and work at the Club. The Bank runs a scheme that encourages staff to get involved in voluntary work. “I was delighted to see so many people doing such excellent work. They have done an excellent job in making repairs and decorating the club house” said Clive. 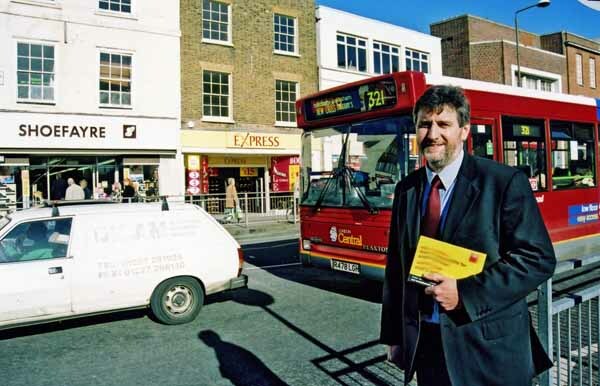 Clive Efford MP met with McDonalds senior management at their store in Eltham recently to ask that them to withdraw their application for a licence to remain open until the early hours of the morning. Following the meeting McDonalds agreed to withdraw their application. Clive explained to the senior managers about the problems that occurred outside their restaurant in the past when they stayed open until midnight. Clive says, “Van loads of police were on duty late at night to deal with the problem of disorderly behaviour. I was not prepared to see vital police resources squandered in this way when my constituents wanted to have more police in their communities.” The police approached McDonalds at Clive’s request and they accepted that there was a problem and agreed to close earlier. This led to an immediate reduction in the levels of anti-social behaviour in the Town Centre late at night. Clive explained to McDonald’s area manager who had made the application and Hugh Milward, McDonalds’ Head of Public Affairs, that the problem would reoccur if they went ahead with their plans for late night opening. Following the meeting Mr Milward rang Clive and informed him that McDonalds accepted the points he had raised and had withdrawn the application. Over thirty local residents from the Avery Hill estate turned up for Clive’s latest coffee morning. 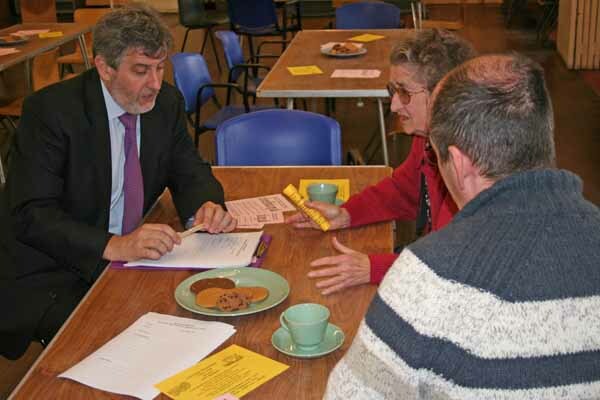 Clive holds regular coffee mornings where he writes to local residents inviting them to pop in for a cup of coffee and a chat about whatever subjects they want to raise. Clive’s latest coffee morning took place on the Progress Estate. Over forty residents turned up for the event. Coffee mornings give Clive and local residents the chance to meet and chat in an informal setting. “People raise all sorts of issues at these coffee mornings, local and national, and others pop in just to say hello”. Clive will continue to hold coffee mornings across the constituency. Clive has written to Greenwich Council to outline his opposition to an application from McDonalds in Eltham High Street to remain open until 3:00am Sundays to Thursdays and until 5:00am Fridays to Saturdays. He explained: “Several years ago I met with the police to discuss disorder and violent conduct in Eltham Town Centre late at night and especially between 11.00pm and midnight when the pubs emptied. At that time McDonalds was open until midnight and people were leaving the pubs and entering McDonalds and then hanging around both inside and outside the restaurant. As a local resident I saw for myself some of the problems this caused. I became sick and tired of witnessing the appalling behaviour that was damaging the image of out town centre. I decided that we had to deal with the premises that were causing this problem. As a result of my discussions with the police the restaurant changed its closing hours so that it shut before the pubs closed. This led to a an immediate reduction in the levels of anti-social behaviour in the Town Centre late at night. Should McDonalds be granted any extension from its current hours of opening it will inevitably lead to a return to the sorts of problems we have seen in the past. Although this restaurant is located in Eltham town centre it is still in an area which is essentially residential. It is unacceptable for those residents to have to face the rowdy and noisy behaviour that will inevitably occur should this license be granted. Clive has also contacted McDonalds directly to try to try to get them to withdraw their application. They have agreed to meet with him. Clive has now met with McDonalds to explain the situation to them and to ask them to withdraw their application. They have agreed to go away and consider the points Clive made. If McDonalds do not withdraw the application Clive will be attending the licensing meeting to voice his opposition.